Both are far from windows tho. A bit better story for Radeon. 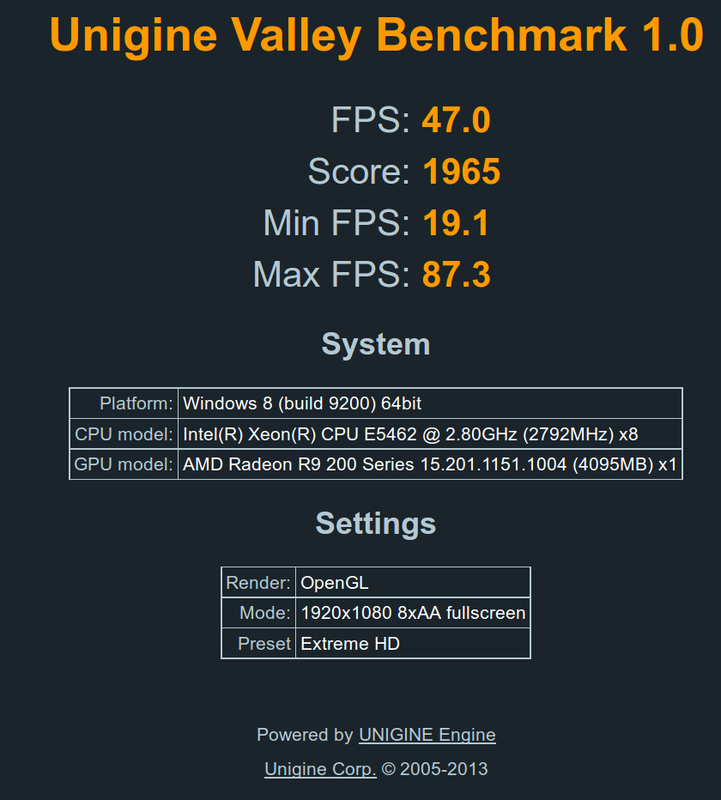 I’ve seen other Unigine comparisons that put OS X very close or faster than Windows. Usually on a different GPU or OS version than what’s used here. The 290X is not sold in any Mac, and the 3.1 Mac Pros have issues with power management on certain GCN cards. I doubt that explains the results though. With a slow CPU performance is constrained by driver optimisation. With a fast CPU, performance is more limited by the GPU hardware. 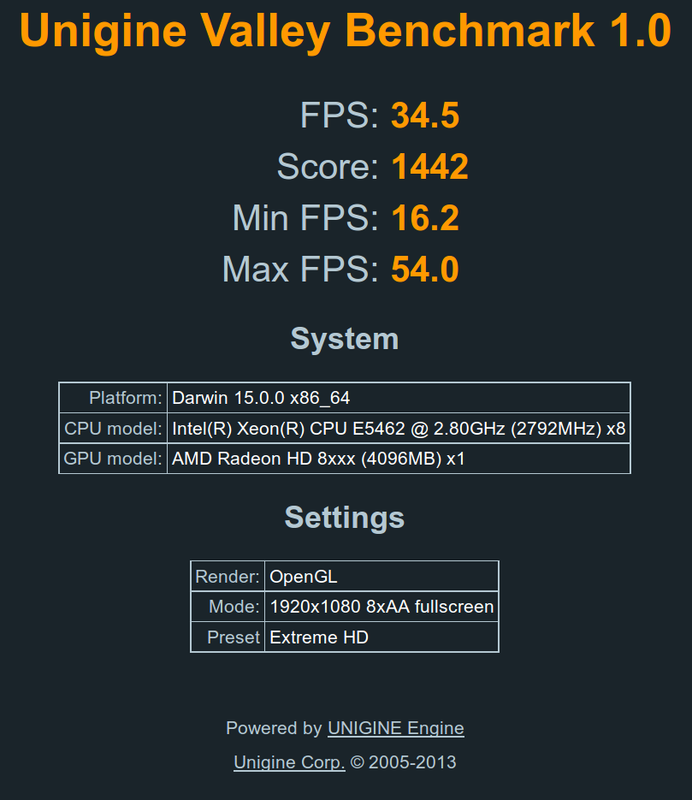 So differences between OS X and Windows start to decrease at very high resolution or with a slow GPU and/or fast CPU. 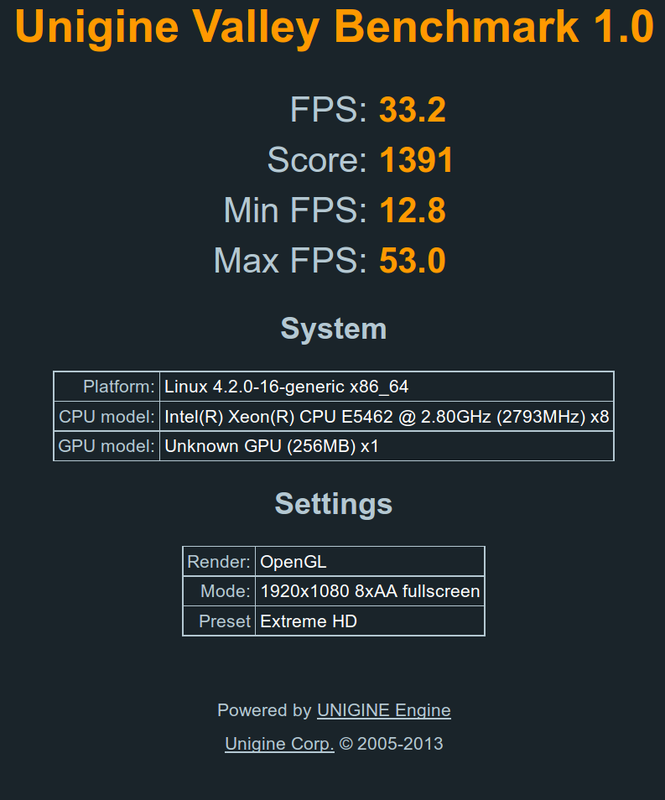 Glad I am not the only one that saw El Capitan Unigine (and Cinebench) graphics benchmarks tank in comparison to Yosemite. Even in gaining I am getting stuttering.